Wipes with a promise that they're flushable are growing in popularity. The wet toilettes have also created expensive new problems for sewers in cities across the nation. WASHINGTON – Wipes with a promise that they’re flushable are growing in popularity. The wet toilettes have also created expensive new problems for sewers in cities across the nation. “While something may be flushable that doesn’t necessarily mean it breaks down the way toilet paper does,” said John Lisle of DC Water and Sewer Authority. He says DC Water has joined the ranks of many utility companies around the U.S. which are paying for costly repairs caused by the wipes after they are sent down the commode. That’s because the wipes can wrap themselves around motors that keep the sewage flowing, which stops them. The problems get compounded when other substances are added to the mix that also should not be sent down the pipes: cooking grease. 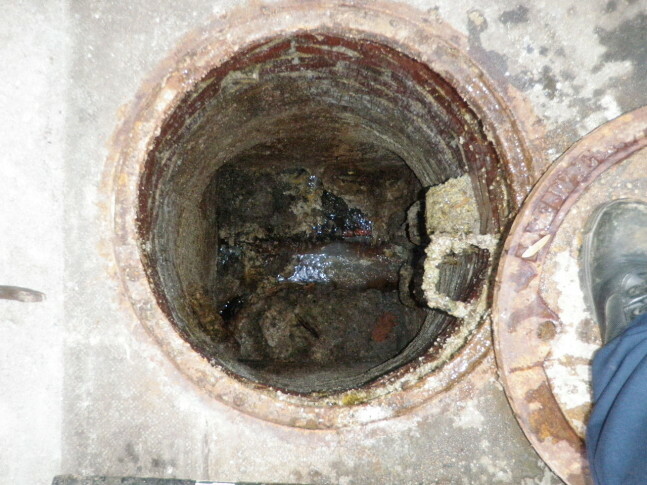 The grease mixed with the wipes can cause big balls that block sewers. Lisle says in some cases the wipes don’t make it outside the home before causing problems. Pipes in homes can get jammed up leaving home owners with basements full of sewage and an expensive repair bill. Lisle says utility companies and local governments are focused on two things to stop this growing problem, urging consumers not to flush the products and convincing manufacturers to adjust their labeling. “To try to get [manufacturers] to change the labeling on these wipes, because that’s sort of where the confusion begins,” Lisle said. He says even when the wipes make it all the way to the Blue Plains Advanced Wastewater Treatment Plant they still create hundreds of tons of debris that has to be filtered out. The cleanup leads to increased costs for for DC Water which, when added to the cost of repairs, could result in higher sewer bills. It can also pose a safety risk to sewage plant workers because items such as needles can get hidden in the wipes. Lisle says when it comes to flushing products down the toilet, the only one that should be allowed to take the plunge is toilet paper.